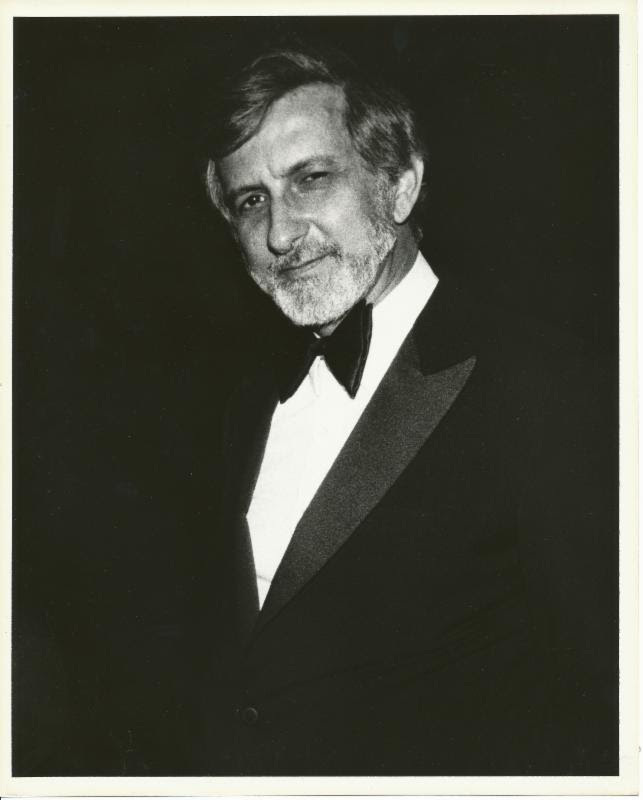 Sad news yesterday from the Los Angeles Philharmonic that Mitchell Peters, member of the orchestra from 1969 until his retirement in 2006, has passed away at the age of 82. Mr. Peters was named Co-Principal Percussionist in 1972 and took over the Principal Timpani in 1982. He was also well-known as a composer, arranger, and pedagogue. His instructional books for percussionists have become standards in the field. “I worked with Mitch several years ago, preparing and performing the piano version of the Beethoven Violin Concerto, so we are, in effect, old chamber-music colleagues. He is extraordinarily kind, and he meets me several times before rehearsals and concerts, instructing me in the basic grip and giving me exercises for achieving some kind of evenness. I immediately discover that I am just as inept as I thought I would be, but you have to start somewhere. The full press release — including a quote by Pearl Jam drummer, Matt Cameron — from the LA Phil is below. Mitchell Peters, a prodigious composer, recording artist, music professor, and former principal timpanist and percussionist with the Los Angeles Philharmonic, passed away on October 28 in Encinitas, CA, at the age of 82. Peters joined the Los Angeles Philharmonic as a percussionist in 1969, became its co-principal percussionist from 1973 to 1982, and retired as its principal timpanist and percussionist in 2006. He performed under such conductors as Zubin Mehta, Carlo-Maria Giulini, André Previn, Esa-Pekka Salonen, Leonard Bernstein, Pierre Boulez, Sir Simon Rattle, John Williams, Michael Tilson Thomas and countless others. Peters recorded extensively with both the Los Angeles Philharmonic and the Dallas Symphony, in addition to various appearances on motion picture and television soundtracks. His timpani playing can be heard on ABC’s World News Tonight‘s opening theme, in the movie 2010: The Year We Make Contact, and the original Battlestar Galactica. Peters published over three dozen compositions. Performances of some of his more popular pieces, such as Yellow After the Rain, Sea Refractions, andGalactica, can be seen on Youtube. His final composition, Firefly, was published in 2015 and dedicated to his three grandchildren. Peters became the applied percussion teacher at California State University Los Angeles shortly after joining the LA Phil and later accepted the position of Professor of Percussion at the University of California, Los Angeles. In addition, he was a faculty member at the Music Academy of the West in Santa Barbara. In May 2012, he retired from teaching. Mitchell Thomas Peters was born on August 17, 1935, in Redwing, Minnesota. He attended the Eastman School of Music where he earned his bachelor’s and master’s degrees and Performer’s Certificate. While at Eastman, he was a member of the original Marimba Masters and appeared on the Ed Sullivan and Arthur Godfrey shows. He also made numerous recordings with the Eastman Wind Ensemble. After graduating from Eastman in 1958, Peters served as timpanist with the 7th U.S. Army Symphony Orchestra. He was stationed in Stuttgart, Germany and traveled throughout Europe to perform. Upon leaving the Army, Peters joined the Dallas Symphony Orchestra as principal percussionist. The Dallas Symphony was a part-time orchestra which led Peters to pursue other musical interests, such as teaching and composing – both of which became lifelong passions. During this time, he also performed with the Dallas Summer Musicals and at a popular local nightclub. In addition to his musical accomplishments, Peters was a wonderful and loving father who cared deeply for his family. His survivors include his daughter, Michelle Peters Feinstein of Encinitas, CA, his son, Mitchell Peters II of Winters, CA, two adopted children from his first marriage, Karen Peters of Austin and John Peters of Los Angeles, three grandchildren (Sarah, Andrew, and Lucas) and one great grandchild (Callie). He was twice married and divorced. Tags: Matt Cameron, Mitchell Peters, obituary, Pearl Jam. Bookmark the permalink.